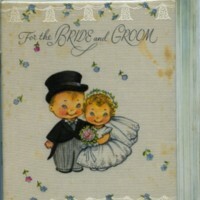 A wedding card received by Avril Patterson. 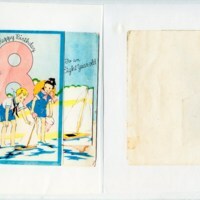 This is a copy of an eighth birthday card received by Avril Patterson. 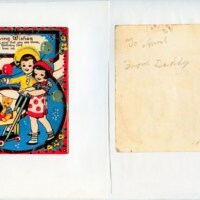 This is a copy of a third birthday card received by Avril Patterson. 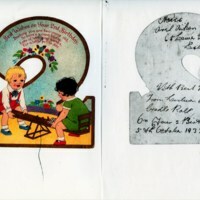 This is a copy of a second birthday card received by Avril Patterson. 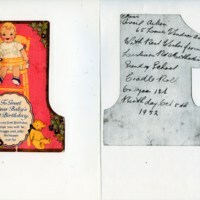 This is a copy of a first birthday card received by Avril Patterson. 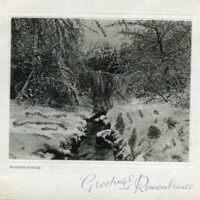 A christmas card that was sent to Avril Patterson in 1957.